Mozilla Firefox is the default web browser on Ubuntu. 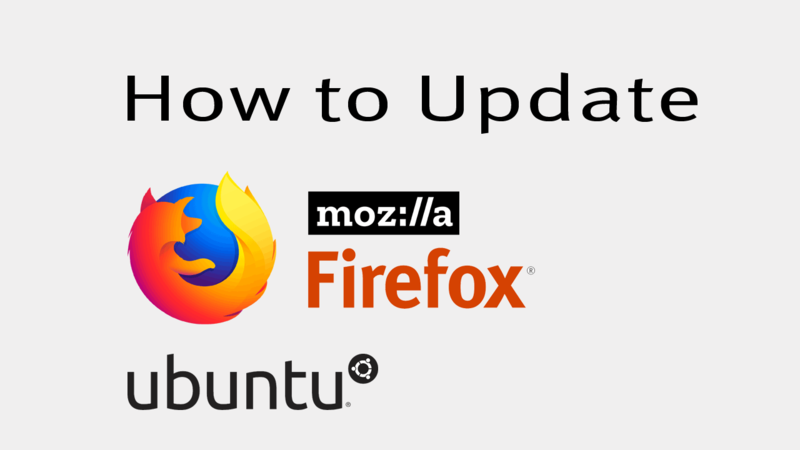 In this tutorial we will learn how to update Firefox on Ubuntu using the command line. Click on following link to find out what is the latest version of the Firefox web browser. The apt-get command will check if new updates are available, if then it will upgrade Firefox to the newest version. Again from the command line check the Firefox version and make sure that the browser been upgraded to the newest version. It's also possible to update Mozilla Firefox in Ubuntu software center. Open Ubuntu software center and click on Updates tab and you will find available upgrades for all of your software applications. Be sure to check every week (or two) for new updates to stay secure.